EXCLUSIVE! 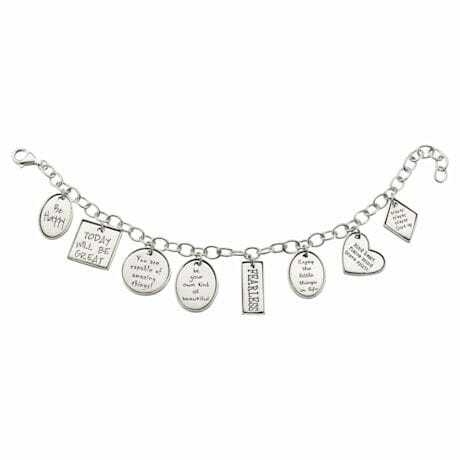 Because there's no such thing as too many positive messages, this sterling silver bracelet has eight, each engraved on a different shape. Whenever you need a lift, just glance at your wrist to see "Be happy," "Today will be great," "You are capable of amazing things," and "Never never never give up." A wonderful, wearable, inspiring gift for yourself or a friend. ½" sterling charms dangle from a sterling chain that adjusts up to 8".